Xavier Peugeot: "What is important for us is to make our cars more and more international, in terms of shape, in terms of brand identity and name." PARIS -- Citroen is thinking on a global scale as it embarks on a big renewal of its lineup, which started with the C3 subcompact hatchback last autumn and continues with the C3 Aircross and C5 Aircross SUV/crossovers. New product debuts in the next several years will leave the PSA Group brand with eight core models, said Xavier Peugeot, Citroen's head of product planning. 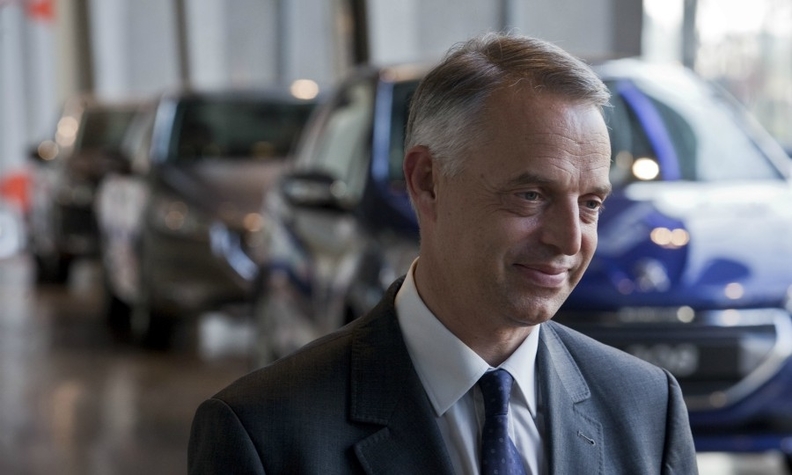 Xavier Peugeot, who took up his post in 2014 after holding a similar position at the Peugeot brand, said the model renewal is starting with the fast-growing SUV/crossover segment, where Citroen has been slow to introduce a full range of models, because of its global appeal. "What is important for us is to make our cars more and more international, in terms of shape, in terms of brand identity and names," he said in an interview at the press launch of the C3 Aircross SUV/crossover, which replaces the subcompact C3 Picasso subcompact minivan. He said he considered the new C3 hatchback, shown to the public at the Paris auto show last October, to be in crossover category. “I believe it has some key ingredients that make it a bit crossover, not in line with the classical B-hatch offering,” he said. Citroen CEO Linda Jackson said this year that the brand was at its “lowest point” in its product cycle in 2016, when global sales fell by 1.6 percent compared to an overall gain by PSA of 6 percent. PSA’s Push to Pass strategic plan has set a goal for Citroen of increasing sales by 30 percent by 2021, to 1.6 million units. Citroen’s European sales are up 3.5 percent this year through April, according to registration figures from industry association ACEA. Jackson has credited the new C3 as a main reason. From January through April, C3 sales were ahead of the previous version by about 28,000 units, according to JATO Dynamics. However, Citroen sales have slumped in China along with the rest of the PSA group brands, and Jackson has pointed to a lack of SUV offerings as one reason. “There will definitely be a D-segment offer within the Citroen range,” he said, adding that it was important for the fleet and business markets. Large Citroen sedans have been a favorite of the French government and executives, starting with the DS from the mid-1950s and continuing with the C6 that ended production in 2012. When C3 Picasso sales end in the second half of this year, it will leave just the C4 Picasso and Grand Picasso MPVs as vehicles bearing the name of the Spanish artist (who spent most of his life in France). The lineage began in 1999 with the Xsara Picasso, and Peugeot said it had not been determined if any more models would carry the designation. “We want this car to be more International than the existing C3 Picasso,” he said of the C3 Aircross, noting that all Citroen SUV models now carry the Aircross name. He acknowledged that the Picasso name, while well-known, might not be globally recognized. “There will be a time when this question is on the table, but it’s a bit early to answer it,” he said. Peugeot declined to give sales targets for the C3 Aircross. He said the company expects it to appeal to current Citroen MPV owners as well as buyers who want an SUV but wouldn’t have considered Citroen in the past. Existing customers will still “be able to find MPV qualities within this car,” he said. The C3 Aircross’s interior capacity and flexibility are “benchmarks in the segment,” he said, helped by a split rear bench seat that moves fore and aft and a front passenger seat that folds forward nearly flat. Peugeot acknowledged that the Aircross might overlap with the subcompact C4 Cactus crossover, introduced in 2014 and known for its distinctive protective “airbumps” on the doors. “In the coming months we will explain the evolution of the C4 Cactus and how we will be organizing the full range of Citroen products,” he said.